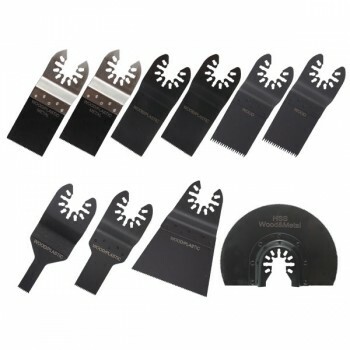 Here is an essential kit that will allow you to handle a broad range of cutting jobs. This Quick Release set of blades is highly recommended for professional handymen. For use with DeWalt, New Porter-Cable or new Rockwell Sonicrafter Hyperlock Oscillating tools.